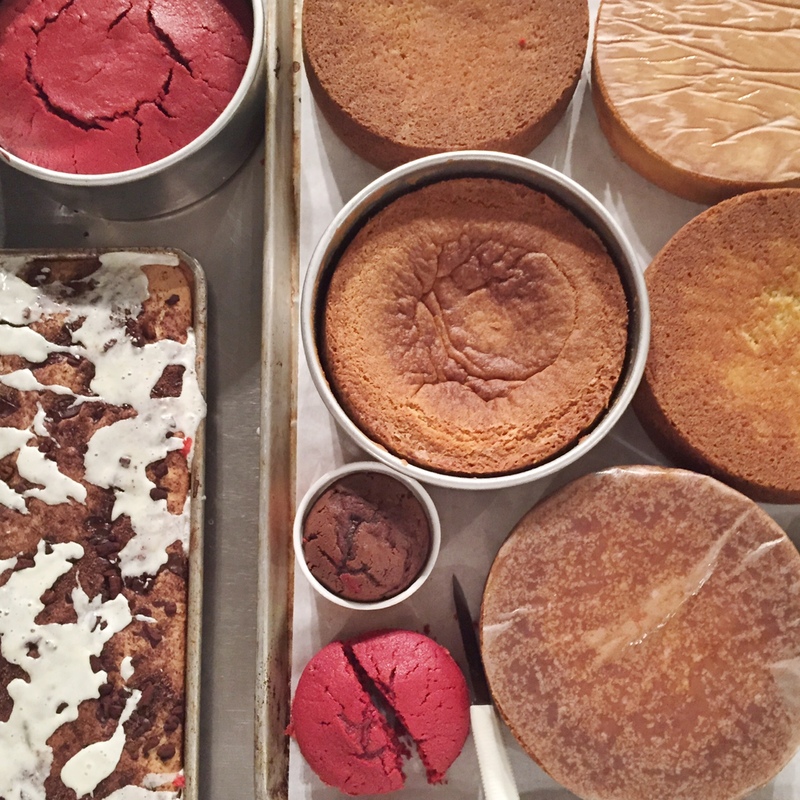 We started off the week with pastry: pies, pretty cakes and pate a choux. 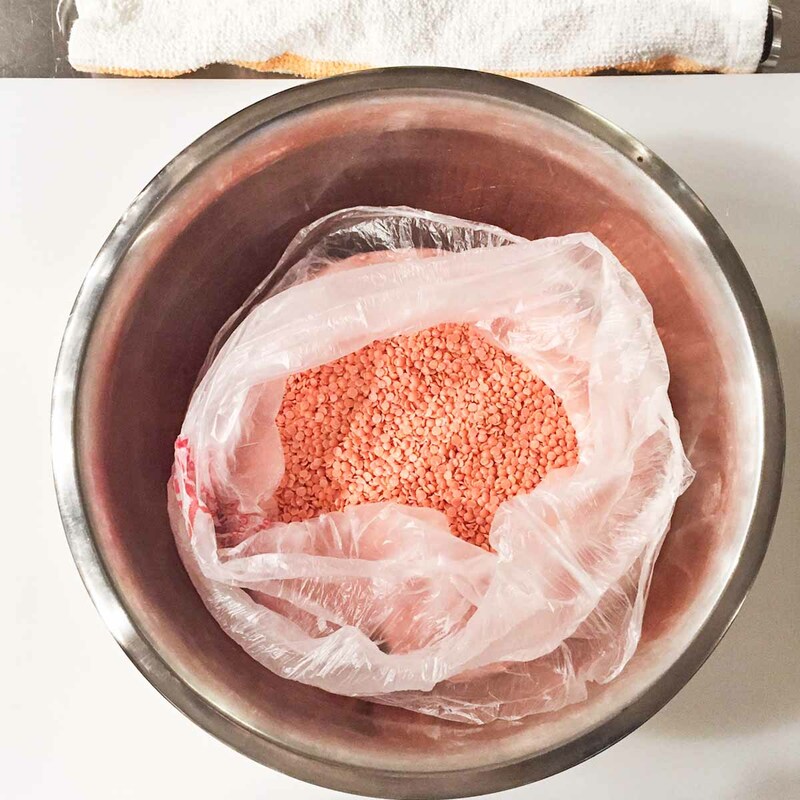 My brain felt like a Kitchen Aid mixer had scrambled up all of the familiarities of previous baking notions: Cups into ounces and pounds, meausuring and weighing everything, and flour dusting my body pretty much from head to toe. My mind was just as exhausted as my arms from rolling doughs and mixing cakes. 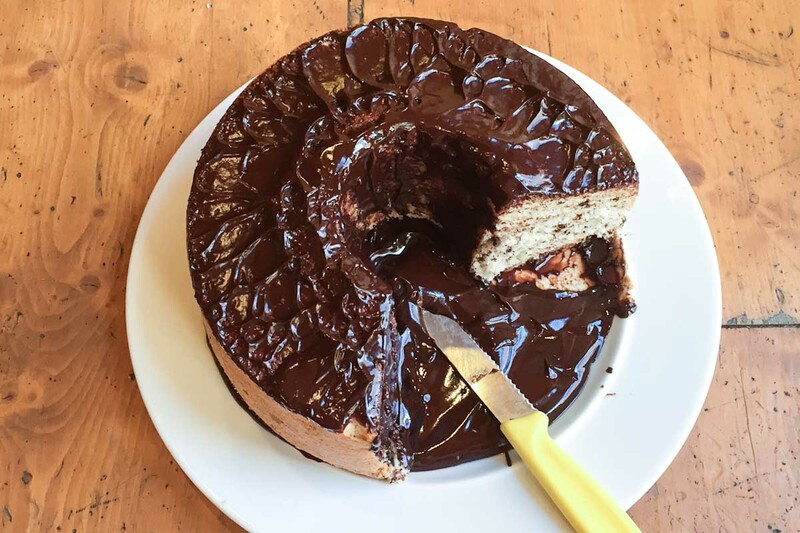 Only with the help of a brilliant instructor did we get it all straight and end up with success in our baking sessions (even at 9,000′ elevation). The rest of the week we played with grains, testing out pilaf methods on various savory dishes, rolled out homemade gnocchi and we also made cheese. Cheese sounds way more intimidating than it really is. 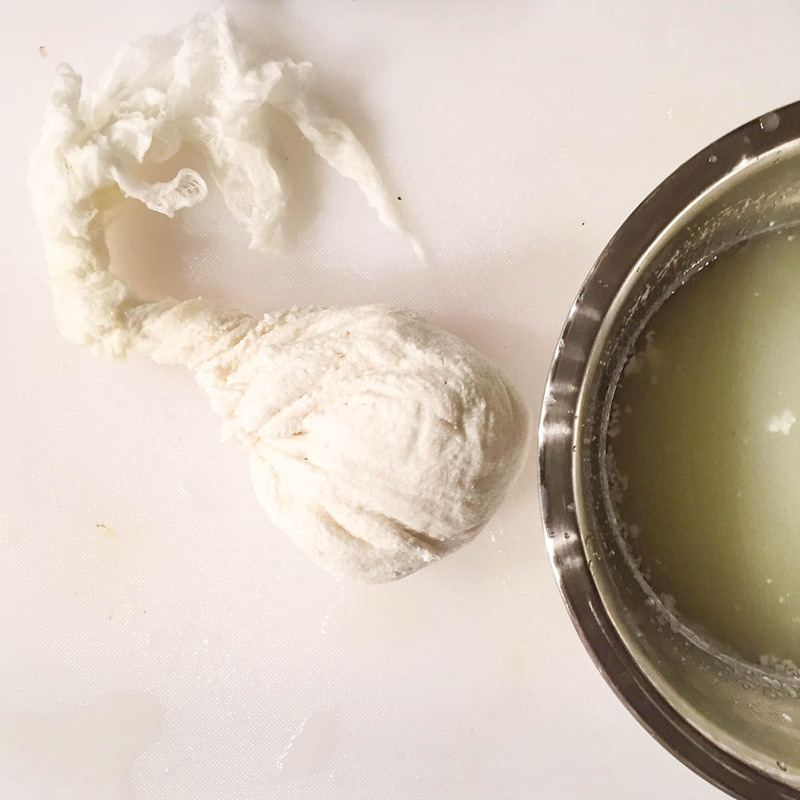 The simplest of cheeses can be made in a home kitchen in a matter of minutes. I have an archived post on homemade ricotta that you should visit if you’re interested. During our class we made Fromage Blanc, Mozarella, and Paneer. 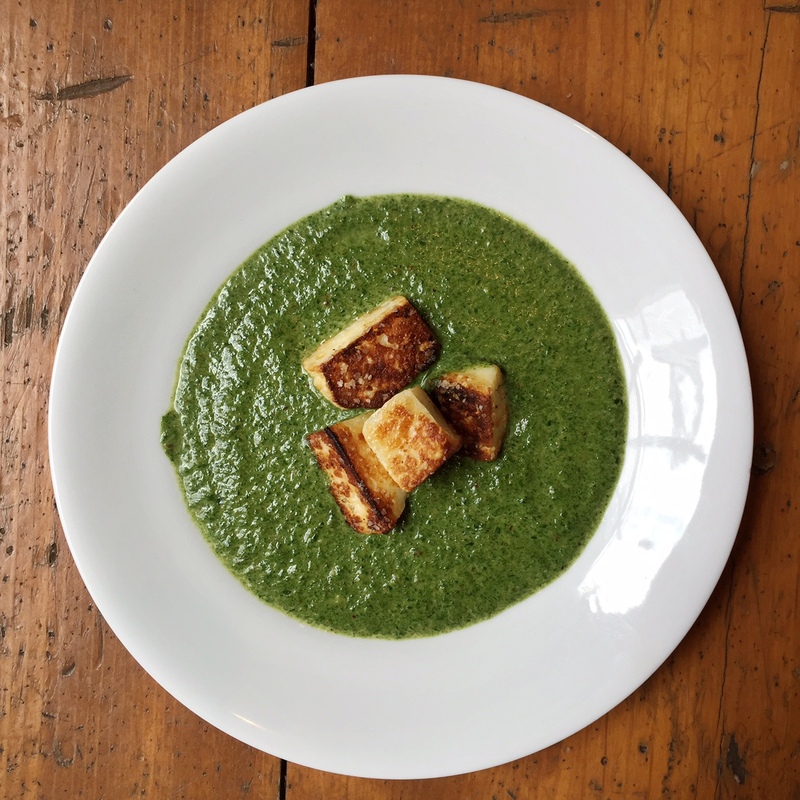 We fried and enjoyed the Paneer with Saag Paneer, an Indian dish I’ve been wanting to make at home for a long time. After baking lots and lots of cakes we looked them over to discuss what changes we should make next time and then we taste tested! Mid-week we had a cooking challenge to come up with several dishes using fresh veggies and a grain. Lunch on that day was one of my favorites. 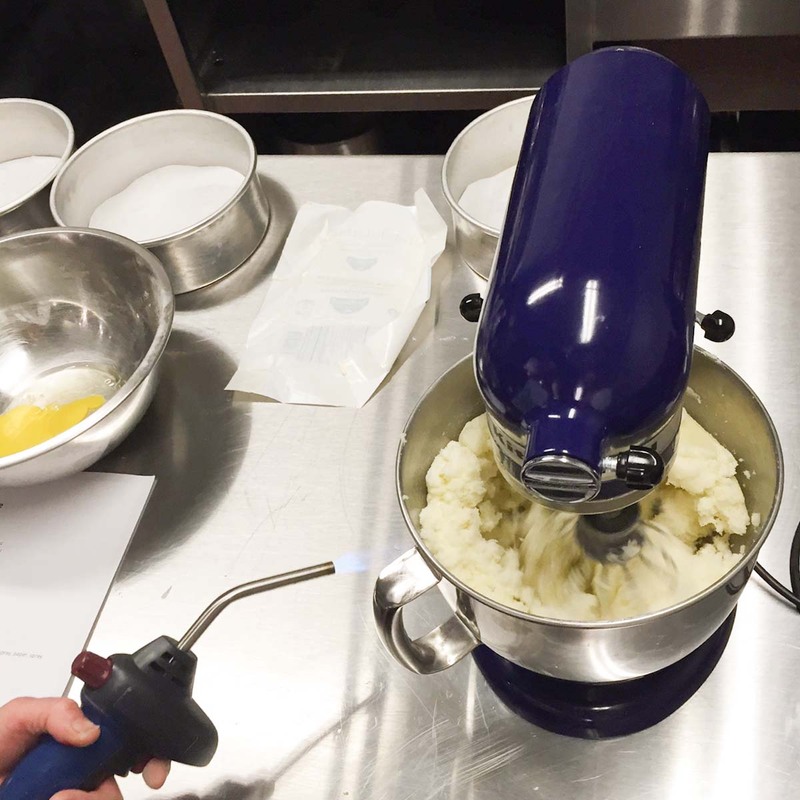 Our instructor took a blow torch to the mixing bowl if any of our batter looked separated. Gnocchi Perfection! The key was only adding just enough flour and not over working the dough before rolling it out. 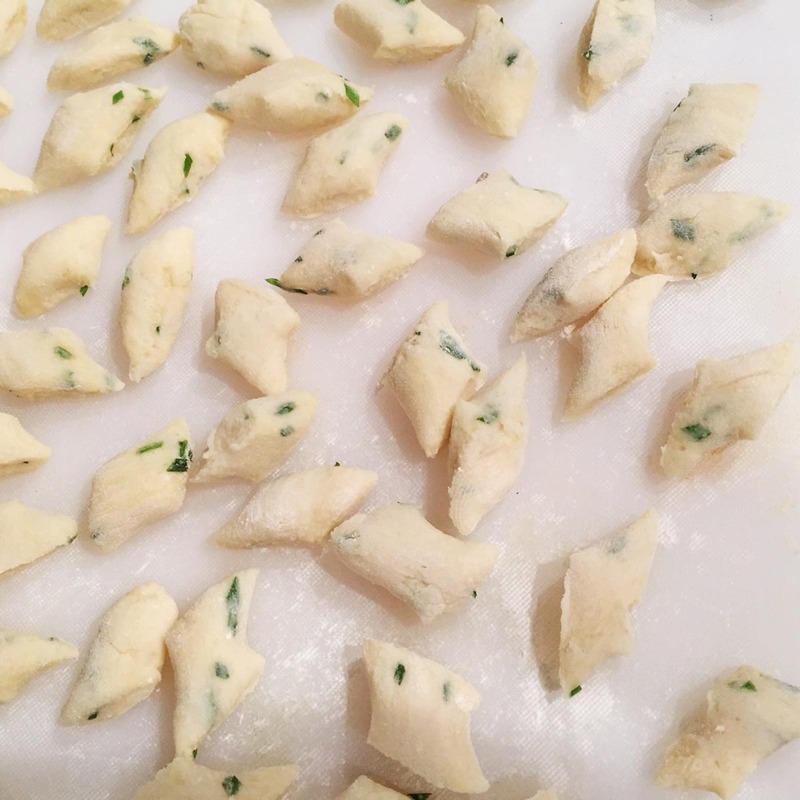 Here’s my step by step on gnocchi making if you want to also try this one out. Lentils really are a beautiful thing. We made ours with a mixture of sweet and savory spices. 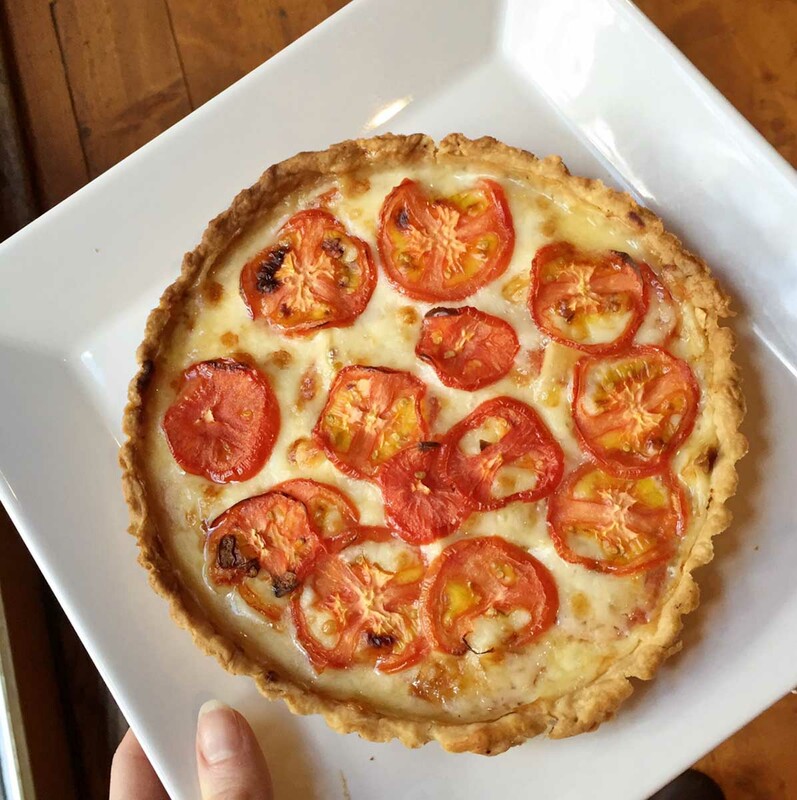 All of our pie dough ended up being used for beautiful savory tarts and galettes like this one. 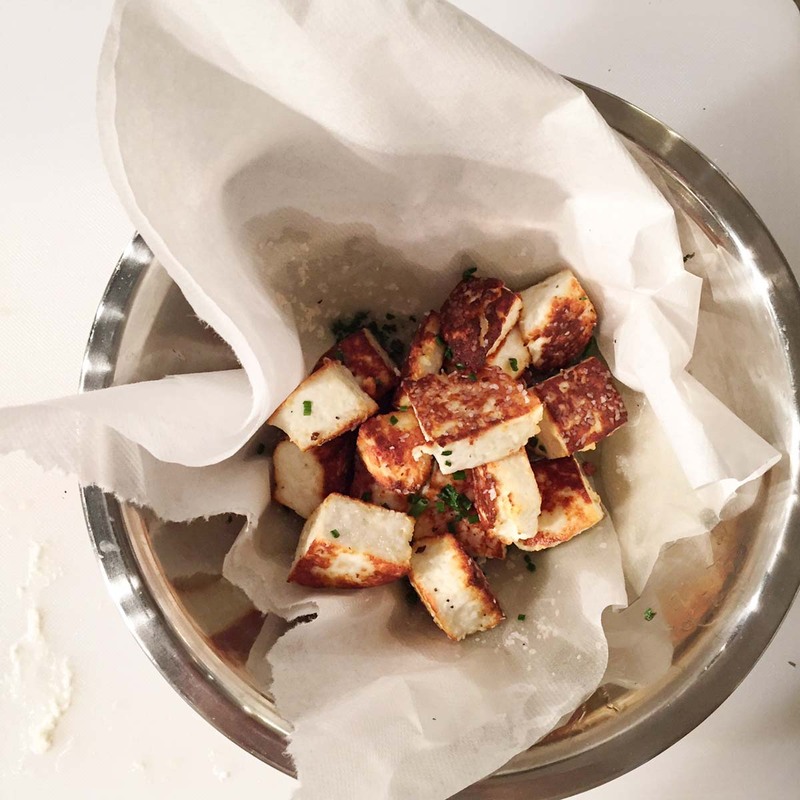 Paneer cheese was the easiest of all of the cheese to make. After it was set we sliced it up and fried it to go with Saag Panner (below). 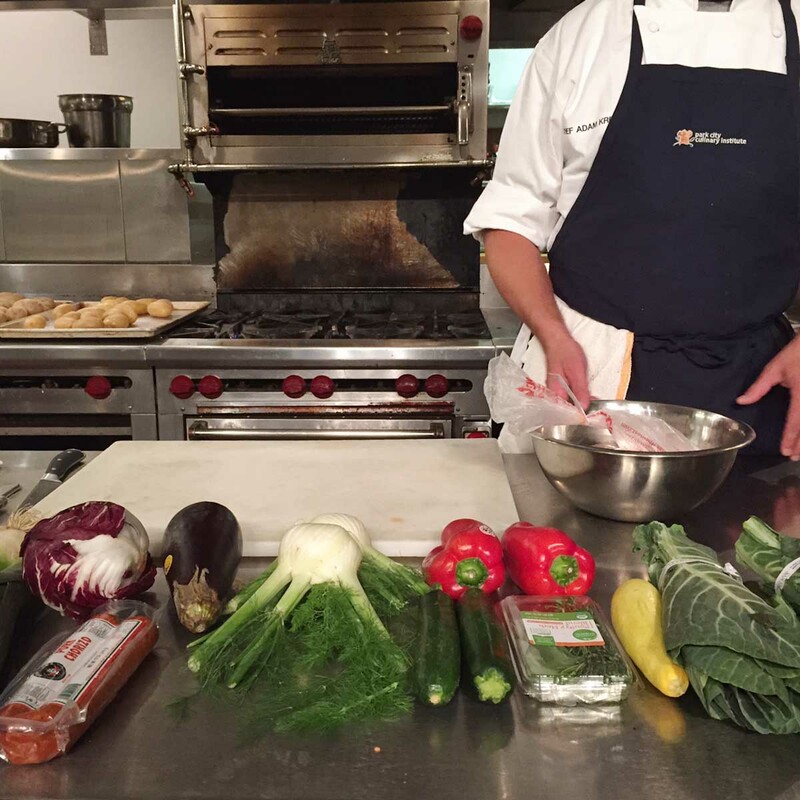 I’m attending Park City Culinary Institute and they are currently offering a great deal to any of my readers who are interested in taking on the same journey! This post has more details. 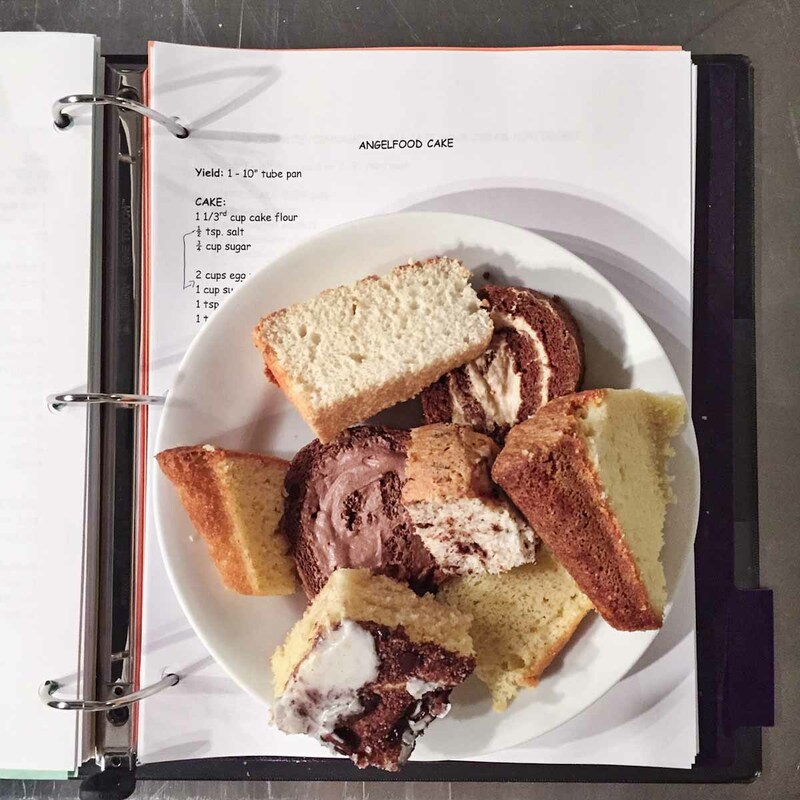 Lana, it’s an angel food cake with chocolate and mint! You would love it!! I can’t believe you don’t add wine to your grains!! 😉 And maybe Alton Brown was there… we’ll never know! I would have love the pastry lessons. Sounds like you’re having a great time and learning lots. Barbara, I am learning a TON!! You would love it. Mary Cech is the pastry instructor and she’s fabulous! Wow! Applying heat to melt the butter in the mixing bowl….why didn’t I think of that!! Makes good sense, especially if the butter is just out of the frig. You’re inspiring Becky! Love that you’re doing culinary school. I’m sure you’re a natural, and I can’t wait to see all you learn. I’m living vicariously through you! Jen, you would be basking in it just as I am!! I wish you were in the class with me.